Every kid has something they love and are passionate about. It might be sports or music or chess or computers or art or cooking or whatever. 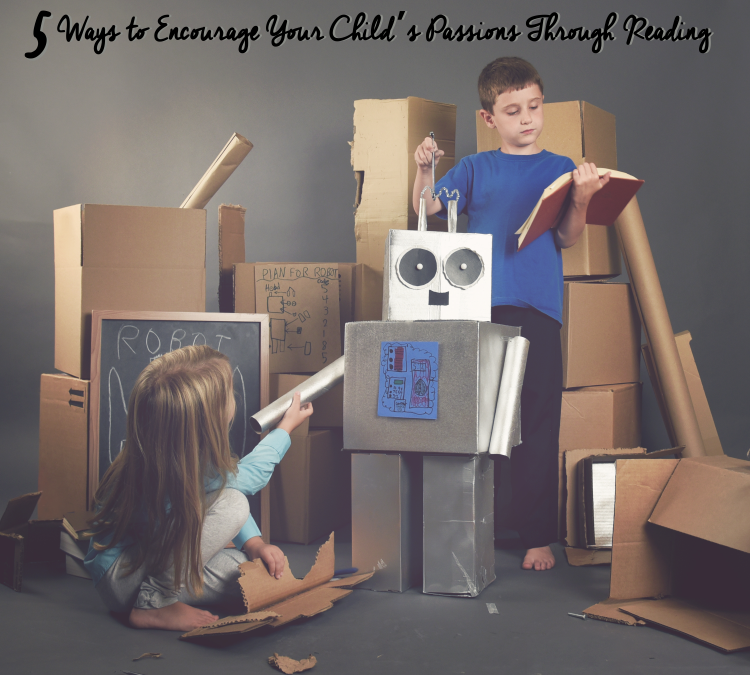 And while not every kid loves to read, here are some great ways to use books or magazines to encourage whatever passion your child does have while also boosting their reading, vocabulary, and critical thinking skills. Get out the How to Books. This may be the most obvious answer to how to encourage your child to read when they would rather be doing what they love but it’s also the truest. Virtually any subject you can name has a book about how to be even better in that subject. If your child is struggling with a particular skill or just wants to tackle some new facet of their chosen activity, suggest they find a book on the subject and get to work. Try a Biography. Kids often become inspired to try something new by reading a biography of someone who succeeded in the same thing. My friend’s ballet-obsessed daughter, who doesn’t normally pick up a book for fun, took to Misty Copeland’s biography with a vengeance and then moved on to biographies of other dancers. Give Them Some Background Knowledge. No matter the passion, chances are it has a history or evolved in some interesting way. Young skateboarders might enjoy discovering how their sport evolved from the earliest days until today. Young soccer players might be interested in reading about the first women’s soccer teams and the struggles they faced in earning respect for the sport. Bedazzle it. Whatever your child loves, I bet there is gear or at least clothing that goes with it. Craft books can help your child make their equipment or team shirts more their own or might provide interesting ways to preserve special mementos of their experience. Try a Magazine. There are magazines out there with topics as specific as nature photography, camping, horseback riding, birdwatching, and collecting baseball cards. Plus, as people who subscribe to professional and trade magazines know, magazines generally have more updated information than books. Here at Cricket Media we have award-winning magazines perfect for kids who love American history and the Presidents (Cobblestone), geography (Faces), Science (Muse, Ask, and Click), reading and writing (Cricket and the gang), and archeology (Dig). It may be that your child’s interests change over time. Perhaps this year they are all in to Harry Potter but last year all their energy was focused on softball and the year before that they were all about swimming. A thread that can connect all of these interests and also help them throughout their entire lives is reading so don’t be afraid to suggest that they get a book or magazine to help them take their skills and knowledge to the next level. Teaching Competence: Could it all start with socks?